There’s a reason why World War II-era historical fiction is so popular, and why it’s my very favorite. Timeless tales of heroism, tragedy, heartbreak, and love are stories that always leave a mark on me, and Judithe Little’s debut novel, Wickwythe Hall, undoubtedly has. Wickwythe Hall introduces us to three unforgettable characters, brought together by the anguish of war. When Annelle LeMaire, a twenty-two year old orphan raised in a convent, barely escapes the German invasion of Dunkirk, she is desperate to find her Legionnaire brothers in North Africa. Instead, she ends up in England at Wickwythe Hall, the large countryside estate of an aristocrat and his American wife. Mabry Springs, the lady of the house, is struggling too—with loss, the delicate state of her marriage, and the revolving door of visitors taking refuge at Wickwythe, including Winston Churchill and his staff. Along with Churchill is Reid Carr, an American West Point graduate, former Legionnaire, and current champagne vendeur serving as an unofficial messenger between the Prime Minister and President Roosevelt. Through the devastation of war, Annelle, Mabry, and Reid are forever linked by shared tragedies, weighty secrets, and intertwined histories. Culminating in the shattering conflict between the British and French navies in the Battle of Mers-el-Kébir, Wickwythe Hall is a sweeping tale of the global and inner battles waged during the war, in the seas and in the home. Judithe Little does an outstanding job of threading the characters’ inner turmoil with the catastrophic events taking place on the front. There’s so much at stake here—life and death, loyalty and broken alliances—and I was deeply invested in all of it. Annelle, Mabry, and Reid are all equally compelling, and the more I read, the more engrossed I became in their lives and relationships. Churchill, the secondary characters, and even the Hall itself are all served up with flourish, creating the kind of atmosphere you can get lost in for hours. I’ve read a lot of fiction set in this era, but this was the first book I’ve read that explores the heart-wrenching circumstances that brought ally against ally in the attack on Mers-el-Kébir. I think that one of the best things historical fiction can do is serve as a reminder of events and lost lives that should never be forgotten, and Wickwythe Hall does just that. If you love history, beautifully rendered characters, and stories that will tug at your heart, add Wickwythe Hall to your list. It’s a striking first novel, and I look forward to reading more from Judithe Little in the future. For more on Judithe Little and her debut novel, visit www.judithelittle.com and connect with her on Facebook. Wonderful review! Can’t wait to dive into Wickwythe Hall again. I had a chance to read an advanced copy and I was spellbound. Thank you, Ann!! It sure is a spellbinding read! 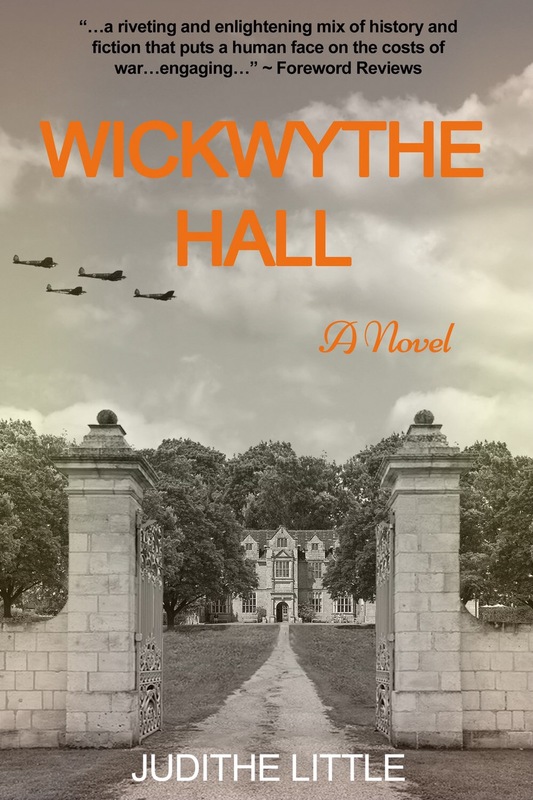 I just purchased Wickwythe Hall and can’t wait to immerse myself. This is exactly the kind of historical fiction I love to read. I hope you enjoy it!! It’s a wonderful book!